The new Polyshable 3D printing filament! Create wonderfully smooth prints by using the Polymaker Polysher™ and the unique Polysmooth™ filament. 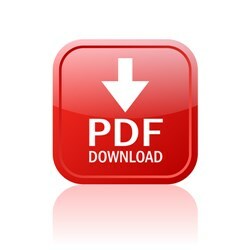 You will earn 38 loyalty points with this purchase worth £0.38 that you can use on this order. AN ENTIRELY NEW 3D PRINTING FILAMENT TO DRAMATICALLY IMPROVE THE SURFACE QUALITY OF 3D PRINTED PARTS. You can purchase the Polysher™ from our store here. PolySmooth™ gives excellent printing characteristics, balanced mechanical properties and most importantly, “polishability”, when exposed to common alcohols such as isopropyl alcohol or ethanol. The Polysher™ was designed with a methodical approach from the electronics to the bolts used,with over 40 parts, our designers made sure nothing was overlooked, ensuring accurate designs and well thought out manufacturing. Polishable: The first 3D printable filament engineered for layer free post-processing. We have specifically developed PolySmooth™ to work alongside the Polysher™ providing the solution to dramatically improve the surface quality of 3D printed objects. Intuitive & Easy To Use: Simply twist the dial to set the time, sit back and watch the magic happen. Easy to Print: PolySmooth™ is compatible with all filament-based 3D printers and prints under similar conditions as PLA. Featuring a wide printing temperature range, low odour and no heated bed required, PolySmooth™ is the perfect companion to your desktop 3D printer. Built-In Safety Features: The Polysher™ was designed with smart electronics,air tight seals and more. Optimized for Support: We have taken our experience from PolySupport™ and engineered PolySmooth™ with the same support removal properties. Easily break away support from PolySmooth’s™ surface and once your model is polished there is no scar left on the surface. Low Costs: The Polysher™ is not only affordable but its running cost is incredibly low too. Balanced Mechanical Properties: PolySmooth™ features well balanced mechanical properties, outperforming ABS and PLA on most attributes, making it an ideal material for everyday 3D printing. Warping Free: PolySmooth™ exhibits very minimal residual stress when printing which means almost no warping, making it ideal for printing large parts. 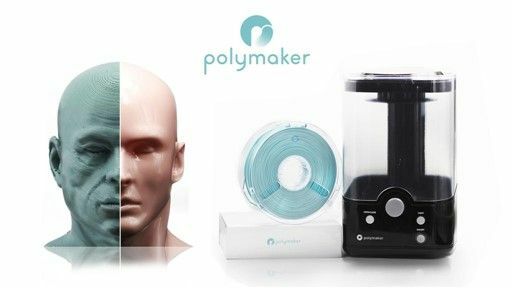 For your information - The Box and Machine Size - You can purchase or pre-order the Polysher™ here. Isopropanol or ethanol, 70% or above [90% or higher recommended] not supplied - though it can be purchased here.